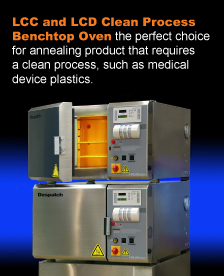 Minneapolis, Minnesota, USA, August 9, 2016 – Initial customer evaluation of the Despatch Split-Zone™ Oxidation Oven has just been completed. Tests were conducted using premium grade fiber running through a single oven that simulated multiple zones. The baseline to achieve the target density was 5 zones with a dwell time of 67.3 minutes. Using the Split-Zone the target density was achieved in just two zones with a dwell time of 44 minutes, a reduction in cycle time of nearly 35%. Oxidation consumes the most energy, has the largest factory footprint, and is the largest capital investment in a carbon fiber line. Improvements to this step have a major impact on the cost of carbon fiber. 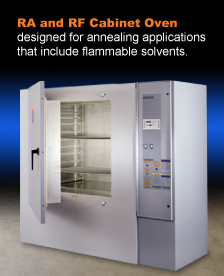 Elimination of variance along with split-zone control allows the temperature in the oven to be pushed higher overall and by as much as 10⁰C in the upper zone which results in reduced oxidation cycle time. Because each oven is now split into two zones, the number of ovens required to properly oxidize the fiber can also be reduced. In the test that was just concluded the number of ovens required was reduced from five down to just two. Despatch is a member of ITW EAE, a division of Illinois Tools Works, Inc. (NYSE: ITW). They are a global leader in high performance industrial ovens and other thermal products used for a host of critical applications, focusing on the electronics, healthcare, materials, transportation and industrial markets. 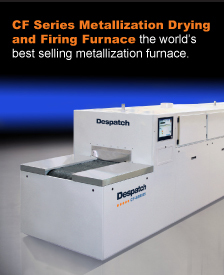 Despatch also serves as a key provider of integrated technology for the emerging solar and carbon fiber markets.